Since the launch of the Apple Watch in 2015, the wearable tech market has seen explosive growth, with innovators solving problems and meeting demand for new products across a range of industries. Here we explore some of the key trends in wearable tech to date. AVR technology has captured people’s imaginations with many products aimed at the consumer market. 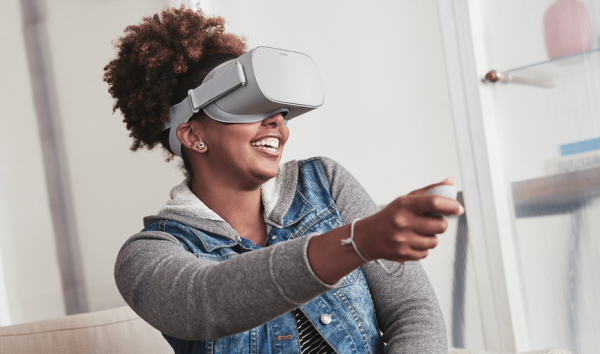 Products like the new Oculus Go – ETA anytime now – provide an immersive experience for VR games, social apps and 360° experiences and provide a wire free, all-in-one headset. But AVR has many benefits for business and industry too. It’s being used in the Emergency Services to provide immersive training and Health & Safety education. Healthcare is another sector that’s using AVR technology, such as with virtual surgical training, helping to improve patient outcomes and training. In manufacturing there are numerous applications, such as for testing new product ideas in virtual reality. This can eliminate the need to build full size prototypes and designs can be tested inexpensively in countless different conditions. Aircraft manufacturers already use ‘simulated digital spaces’ to explore and test new designs. It is predicated that the business use of AVR technology will overtake consumer / entertainment uses, with huge scope for innovation across all industries. No longer does ‘wearable tech’ just mean a wristband – sensors and technology in your clothing can also provide an idea of what’s going on in your body. Products from sports clothing manufactures like Athos are embedded with micro-EMG sensors; these collate and evaluate electrical activity produced by your muscles to show how hard they are working. Other smart textile products measure heart rate, analyse sweat, and monitor breathing rhythms; all aiming to make the wristband fitness tracker obsolete. Smart textiles are not just for fitness enthusiasts and sports people. 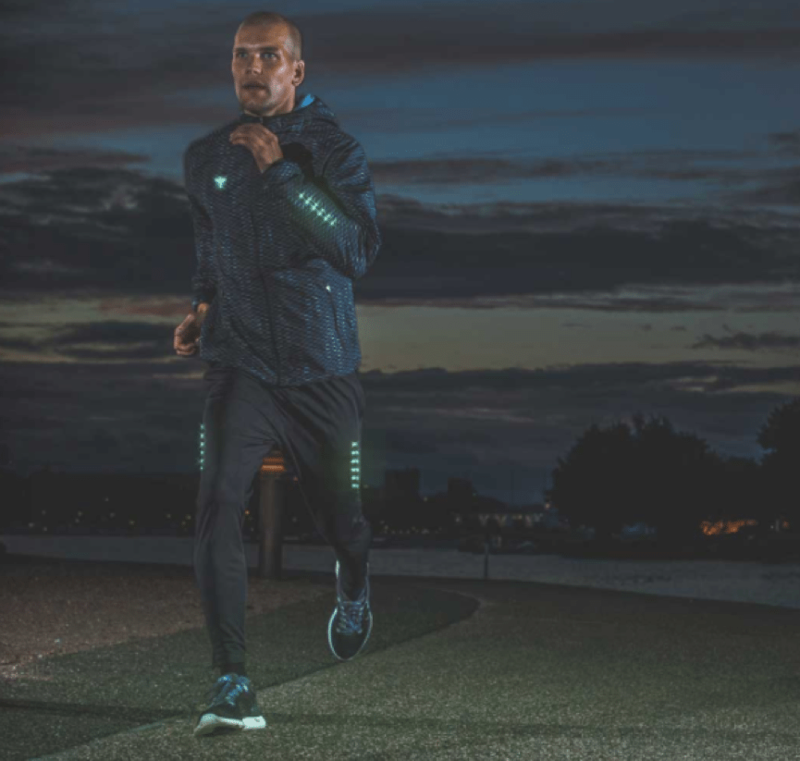 US company Twinery has just launched the Nova high visibility jacket; admittedly aimed at outdoor enthusiasts, although the applications for anyone wearing it in low light or at night are obvious. The jacket features patent-pending LightGuide technology, embedded into the fabric. This can be activated on demand to make the wearer visible from a distance of 140 metres. There are also applications in the healthcare and pharmaceutical industries, providing patients with tools to monitor and manage their health, as well as innovations in robotic technology utilising wearable tech (artificial limbs etc.) that improve patients lives. Other recent smart textile innovations include a stretchable fabric battery, developed by a research team from Binghamton University, New York. This bacteria powered bio-battery has the potential to be integrated with other wearable technology, powering that technology without the need for a rigid battery pack. Consumers have increasingly adopted mobile payments – using your smartphone to pay for your coffee – made possible by NFC technology. The roll out of payment card utilising NRC or RFID paved the way to contactless smartphone payments, and of course payments from Apple Watches. But why confine your payment methods to a card, mobile or watch? 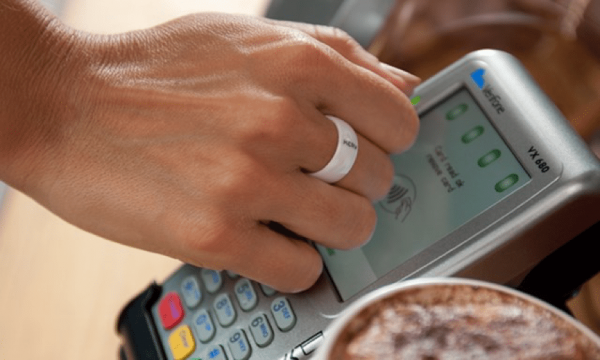 Kerv Wearables launched a contactless payment ring in 2017, and many other payment providers are exploring similar ideas. The Kerv ring requires no charging, doesn’t need to be paired to a smartphone and makes contactless payments up to £30. It doesn’t look like a technology product, and aims to provide a convenient and easy way to make low value transactions. There are also security advantages, less risk of theft or loss, as the ring is worn instead of carried like a mobile phone. Expect to see more contactless ‘wearable’ technology such as key fobs being launched this year by many payment providers as consumers become more amiable to this technology. As the examples above illustrate, wearable tech has numerous uses for consumer products and business applications. If you’re an entrepreneur, inventor or electronics manufacturer there are many opportunities to explore.